Truck Wheel Balancer Made in Italy — Great Quality & Best Affordable Price! External data gauge. 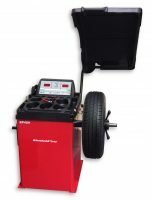 Automatic external gauge for measuring the wheel width. 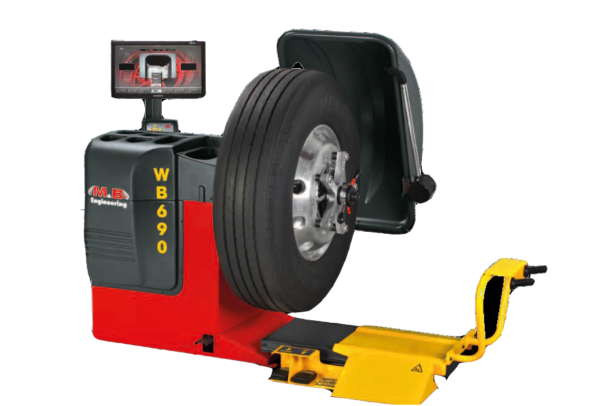 The WB690 is equipped with a pneumatic lift with up/down pedal control, very powerful and having a great capacity, that allows to easily and safely centre all tyres of considerable size and weight up to a maximum of 200 kg. Hidden weight program that hides adhesive weights behind the rim spokes, improving the quality/aesthetic ratio. 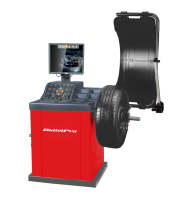 Aludata program that resolves all the problems of balancing aluminium rims. The arm in the central part of the weight holder panel indicates the exact position for application of adhesive weights. 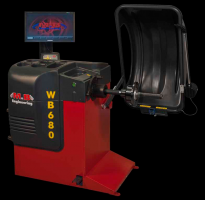 The newly developed software enables the balancing machine to recognize and automatically select the Alu program (two internal adhesive weights) with a simple movement of the internal data gauge. motorcycle. Possibility of working with 3 different operators at the same time.